David Stephens reviews a recent publication by the Department of Veterans’ Affairs, Schooling, Service and the Great War. The educational materials offered by the Department of Veterans’ Affairs (DVA) have been distinguished by their sharp focus on Australia’s military exploits. By military we mean the exploits of (mostly) men in uniform. On the DVA Anzac Portal website under ‘Teachers Resources’, for example, there are publications titled Audacity, Australian Light Horse, Bomber Command, Gallipoli, Investigating Gallipoli, Gallipoli and the Anzacs, Kokoda, Australian Flying Corps, and Australia on the Western Front, as well as some booklets on commemorating war service. There are some items on other aspects of war, such as Devotion (nurses), Home Front, Forever Yours (love in wartime), Australian Women in War, and M is for Mates – Animals in Wartime from Ajax to Zep, but they are very much in the minority. DVA’s educational output has grown like Topsy in the last two decades (despite the Administrative Arrangements Order) though it still gets just a single paragraph of text and a line in a table in the Department’s annual report (2012-13 report, pp. 125, 127). In 2012-13 DVA produced 399 186 ‘community and education resources’, though this figure does not differentiate between Anzac Day and Remembrance Day posters, fliers, annual calendars, education publications and commemorative publications. The publication was produced by Dr Rosalie Triolo of Monash University, DVA Historian Ian Hodges and officers of DVA’s Commemoration Branch. They should all be pleased with how it has turned out. The booklet is divided into an introduction and eight ‘investigations’. Ian Hodges’s introduction is book-ended by the recollections of Brian Lewis, which bring home the impact of war on his family. The introduction includes a brisk summary of the war (within which Gallipoli is not given excessive weight) and some (perhaps insufficient) recognition of events at home. ‘Stance’ or ‘perspective’ always has to be an issue in government-produced material relating to war. Schooling, Service and the Great War is, for the most part, a paragon of balance set against an informed presentation of educational practice a century ago – practice some of which persisted for decades after the Treaty of Versailles. (The sense of foreboding created by the expected visit of the school inspector awakened memories in this reviewer that he had long since suppressed.) The importance of Empire loyalty is emphasised but so is the awkwardness of Irish-Australians. The pro-government attitudes of educational authorities are admitted as is the pressure on teachers to go along with the war effort. The differing status and roles of boys and girls are recognised as are the differing expectations of male and female teachers. There is a wide and imaginative range of sources, both primary and secondary, which throw up searching questions for today’s students, like whether they should believe everything they read and whether they would have been comfortable with the values taught to students during the war. For the most part, the materials encourage Year 9s towards a sophisticated and sensitive study of history. Although today’s students and teachers may find quaint some of the attitudes depicted in the booklet, the authors make some astute comparisons between then and now and mostly avoid the temptation to see yesterday’s world through today’s perspective. 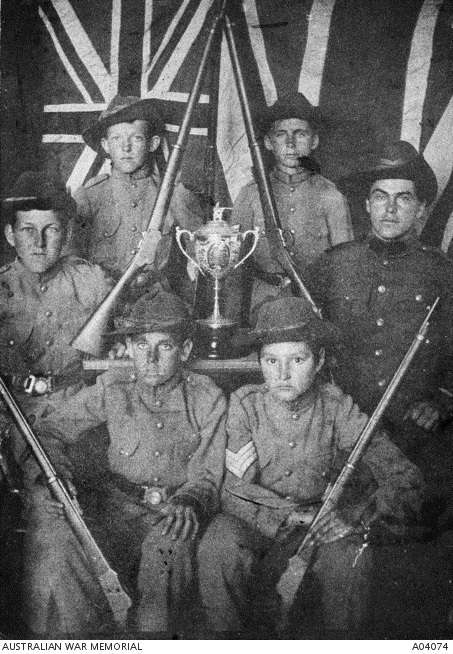 That is as it should be, though – one never knows – the Great War cycle of patriotism through acceptance to disillusionment may yet be repeated in our century. It is difficult to imagine the feelings of students and teachers then as they dealt with the impacts on their classmates and colleagues of the carnage on the other side of the world. A good proportion of the 60 000 tragic Australian deaths and countless injury and illness would have been felt in classrooms. Yet the materials make the sensible point that domestic impacts in Australia could never approach those in Europe, where home front and war front were contiguous. Perhaps it is the lack in Australia of that closeness of home and battle fronts that explains why Australians continue to yearn to comprehend war and its impacts – and do so with a sentimentality that closeness tends to drive out. (A woman who had lived as a child through the London Blitz in 1940 told this reviewer earlier this year that she was amazed and appalled at Australian attitudes to war.) 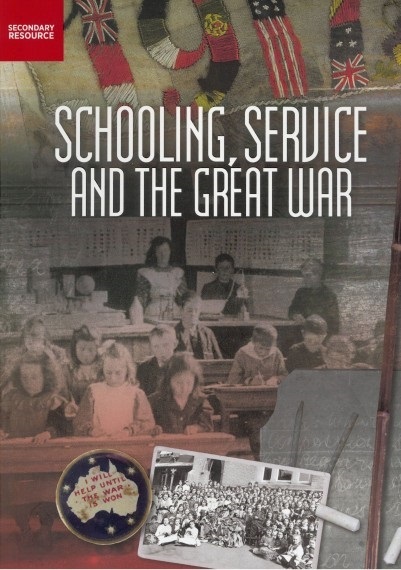 Schooling, Service and the Great War mostly avoids sentimentality and that is to be welcomed. The CD-ROM has additional sources, which range over a similarly wide area to those in the booklet and include further material on individual teachers, such as George Furner Langley, who, this reviewer can attest, was still a prominent ex-serviceman (and by then ex-) teacher (and Anzac Day service speaker) in the early 1960s. (I did not know that Thomas Blamey, eventually a Field Marshal, started working life as a pupil-teacher in Wagga.) There is also a rubric and a worksheet relevant to source analysis, plus a pdf of the poster. This reviewer has had a close interest in teachers at war. My father went from Melbourne Teachers’ College and Colac High School to Syria and New Guinea in World War II, collecting PTSD along the way plus a passing mention in the Official History. Many years later he received his copy of the official Victorian Education Department book about teachers who fought, a publication which replicated a similar one after the Great War. He only glanced at it. 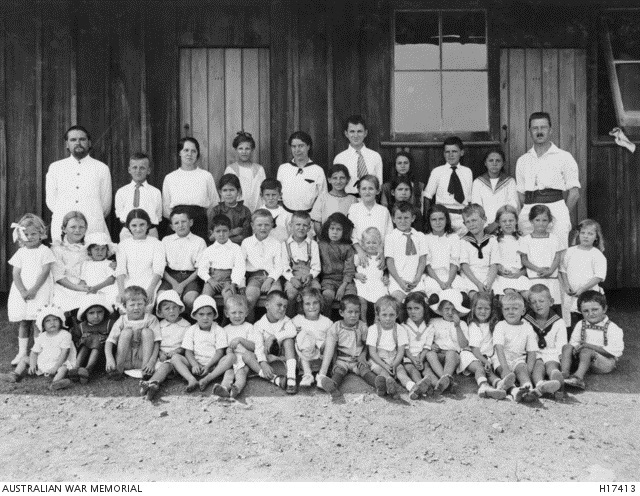 My uncle went off to World War II from teaching at Mount Eccles South State School in Gippsland. He did not return; no commemorative book for him. Moody, sometimes irascible former servicemen were everywhere among the ranks of teachers in the 1950s and 1960s. As well as being a thoughtfully and professionally produced package, Schooling, Service and the Great War tilts the balance of DVA output a little towards war history rather than military history. (Although Audacity, published the same month, rather swung the balance back. It is reviewed here. An Honest History review is here.) By my count, based only on book title and blurb, one-quarter to one-third of the 28 DVA educational publications available at the time of writing now get beyond the ‘blokes battle front’ to look at the role of women, wider impacts of war on families and the home front generally. Any moves in this direction are welcome and should continue. If it is indeed true that some schools throw DVA freebies away, broadening the focus of DVA output may make this practice less common. *This is an extension of an ancient, popular but unfair aphorism, sourced to George Bernard Shaw: ‘Those who can, do; those who can’t, teach’.